When I was chatting over dinner with two of my good friends a couple of months back, one of the topics we talked about was job interviews. One of my friends (who is still a student) said she was glad she was still studying because she found the prospect of job interviews scary. To her, the thought of having someone grill you face-to-face with questions and being in the pressure to think on your feet was quite overwhelming. I found her adversity toward interviews quite interesting. While interviews can seem a little intimidating, they are definitely manageable with the right level of preparation. In fact, as you do more of them, you will find them to be easier and easier — and something to look forward to! Personally, I find interviews a very awareness raising experience. I remember that every time I had an interview in the past, it always felt like such an adrenaline rush! Be clear that this is a job you want. Is this a job that you really want? Be clear on your end objective. Only accept the interview if there is a possibility that you will accept the job offer after you get it. Otherwise, you will only be wasting their time and your time – plus it creates bad will if you reject an offer later on without a valid reason. You never know when you might want to join this company in the future. Look up your interviewers before the job interview. What are their names? What are their designations? What are they working on? Try to get some broad-based information on them like their names and designations before the interview; then, look them up online or on Linkedin to see if you can find any general information on them. This information helps you better prepare and connect with them during the interview. Research the interview style of the company. Different industries have different interview styles, and even within companies they have different tests too. These ranges from stress panel interview (with 4 or more interviewers), 2-on-1 interview, 1-on-1 interview, group interview (interview with a few candidates together), and so on. Within these interviews, the kind of questions asked varies too. Some interviews focus on behavioral questions, some on case studies, some test general knowledge questions, and so on. Be clear on what these are because it is critical in your preparation. Connect with people who have interviewed with the company before. There is no better way to learn than to talk to someone who has been through the experience. If you can find someone who has interviewed with the company before, talk to them. Learn what the whole process was like, the questions asked, any surprise elements, how you can better prepare, etc. Sites like Glassdoor now make it very easy to learn about a company’s hiring process. Connect with company’s employees. Do you have any friends who work inside? Friends’ friends? Connect with them and try to learn as much as you can about the company, its culture, organization, the interview process, etc. This will give you very valuable insights on whether for your interview. Research the company background.What does it do? What products do they have? How is their performance in the past few years? What is the status of the company now? What are the latest news surrounding the company? How is its culture? How is its structure? How many regions and countries is it in? Which are its biggest markets? Find out as much relevant information as you can about the company that you feel will come in handy for your job interview. Research the job you are interviewing for.What is your role about? How many people will you be working with? What will you be doing? Does it require traveling? As you think about these questions, think about what you have to offer that will be a perfect fit for this role as well as the company. Check how many candidates are up for the interview. This is optional, but knowing this gives you an indication on the intensity of competition for the role. You can ask this question if you are already through to the next round (if there are multiple interview rounds); most interviewers/HRs should be happy to share this information. Be clear about what you have to offer. What are your strengths and weaknesses? What achievements have you had? Why should the company choose you over another candidate? What do you have to offer to them? How does your knowledge, skill sets and abilities fit with what they are looking for? Rehearse with a friend. Nothing like a trial run before the real thing! After all, practice makes perfect. Brief your friend on the interview style of the company and simulate an interview scenario with her, where she interviews you. Anticipate questions they will ask. Dress right. Check with the HR or your headhunter on the right dress code before the interview. Generally, formal office wear will work right. Be 10 minutes early for the interview. The worst thing you can do is be late for the interview. It sets the wrong tone and you don’t want to be entering your interview hot, sweaty and flustered either. Be early rather than late; make sure you set off for the place earlier by 15-30 minutes. Reaching earlier helps you to cool down and prepare yourself mentally. If you reach much earlier, just hang around the vicinity and enter the office 10 minutes before your interview time. Check how you look before your interview. Just a quick check to ensure your hair is in its place, there’s nothing on your face, and nothing stuck in your teeth. The last thing you want is to finish an interview smiling and grinning, then realize there’s a big piece of vegetable stuck in your front tooth afterward! Give them a firm handshake.Your handshake should be firm and steady. Your handshake gives them an initial impression on the kind of person you are. If it’s a solid shake, they will think of you as a confident and firm person. If you have sweaty palms, make sure you wipe them before you shake their hands! Ask them for their namecards (and give them yours). Before the interview, your interviewers will typically offer you their namecard. If not, you can request for it. This will come into handy after the interview (see Tip #30). If you have your own personal name card, give them the card before the interview starts. When I was in business school last time, my school provided all the students with their own namecards as a way for us to easily network with prospective employers and people in the industry. As small a gesture this may be, it helps leave an impression. You never know how it may come in useful. Be confident in yourself. The company wants to hire someone who is self-assured and can perform, not someone who lacks self-worth and seems doubtful of his/her own abilities. Be confident in yourself. Check out my article on How to Increase Self-Confidence to build up your self-confidence. Be positive. During the interview, always be positive and focus on the good things, not the bad things. Do not ever badmouth anyone or complain about anything because it comes across as very unprofessional. What you share in the interview is going into the evaluation of how well you fit the company. Whenever you think about saying something negative, quickly flip it around in your head and talk about the upsides instead. Be truthful. Be true to your integrity with all your answers. Don’t try to overexaggerate your contributions or falsify them. When you tell the truth, you don’t need to be worrying about what you said before. Also, be honest about what you feel is the minimum pay you are willing to accept as well as your starting date. Don’t tell them an answer which do not convey what you really feel. There is no need to lie just to secure a job. Be enthusiastic. Let your enthusiasm and passion flow through with your answers. 😀 The most important indicator of how well a person will perform in his/her job is his level of passion. I just had a phone interview last week where I was shortlisted for the next round immediately at the end of the interview. The interviewer said she could feel my passion surging through from just talking on the phone! If you exude enthusiasm, the energy will flow through to your interviewers as well. Think before you speak. For every question that they ask you, think about your answers for 2-3 seconds in your mind before you speak. This is going to be better than if you jump straight into the answer in a fluster and go off a completely wrong tangent. Structure the key points mentally then convey them one by one in your answer. Be conscious of your body language. Convey confidence in your body language – have a good posture, shoulders back, don’t go overboard with your hand gestures. I tend to lean forward a little when listening or talking – it helps to convey my interest and engagement in the conversation. Don’t speak too fast. I normally speak very fast, and I have a tendency to speak even faster when I’m excited (e.g. in a job interview). This makes it hard for the interviewers to capture what you are saying! Be conscious of your rate of speech – again, practise this before the interview (Tip #10). Win them over with your answers. For every question the interviewers ask, they are looking for something in your answers which will make you a good fit for the company. Be aware of what that might be and include that in your answers. Be sure that your answers clearly highlight your key strengths and what you have to offer. Everything you say should ladder up to support a key message. Don’t ramble about unrelated details. Help your interviewers out by making it easy for them to recognize you for the excellent candidate you are, rather than making them probe for it. Smile regularly. Remember to smile from time to time! Be amiable and approachable. Don’t be look too serious because it might alienate people. 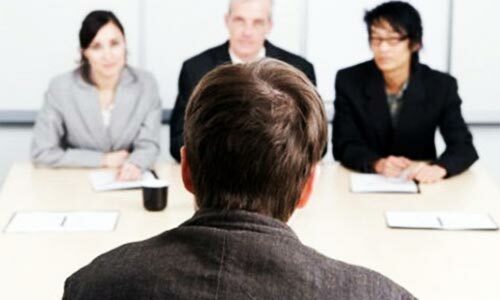 Apart from hiring competent people, interviewers also look to hire people they like. Take a notebook into the job interview. This depends on the style of your interview and who your interviewers are. For some, it’s okay to take a notebook inside which you can refer to or jot down notes during the interviews you want. If you are someone who gets easily nervous and forgets stuff, this will be a good tool to have. Be conscious of your interviewers. Be conscious of how they are feeling through their facial expressions and body language. If you have been going on and on in an answer and they look like they are getting restless, speed up to the main crux of what you are going to say. In an interview, your ability to ‘listen’ is as important as your ability to speak. Ask smart questions at the end of the job interview. Typically at the end of the job interview, your interviewers will ask you if you have any questions. Asking questions which express your interest in the job, such as details of the projects you will be handling if you have the role, lets them know your sincerity in the role. Asking questions about the interviewers, such as how they came to join this company, their most challenging assignment in the company, what they feel about their experience there, etc, is a great way for you to build a personal connection and to get more valuable insights about the company too. Inquire on how long it will take for them to get back to you. This helps to manage your expectations in your waiting time. It’s important since you are likely to be interviewing with other companies at the same time and receiving other offers too. If it stretches beyond their stipulated time, then most likely you did not get shortlisted. Follow-up with an email. After the job interview, follow-up with a quick thank you email for their time. Briefly touch on about your strong interest for the company and the assignment. This helps put you in their top of mind awareness. Learn from the interview. Regardless of what happens during the interview, be sure to learn from it afterward. Which questions stumped you? Which answers do you think can be improved upon? Identify them and work on them for your own learning purposes. Sometimes, just because you think you blew a job interview doesn’t mean it’s completely out of the water. When I was getting interviewed for my internship in a Fortune 100 company in 2005 (I was just 20 then, very young), I thought I had totally ruined my chances during the second round. As someone who was really spontaneous and enthusiastic at that time, I made two of the worst boo-boos possible during the interview. The first one occurred just before the job interview started. I had two interviewers, a man and a lady. When I was sitting, their colleague entered the room with drinks for them. The male interviewer, seeing I had no drinks, asked me out of courtesy if I wanted one. Instead of saying no, I quipped said “Okay, yes please!”! All the three employees must had been taken aback, because they looked at each other for a few seconds, after which the lady (who bought the drink) said she had to walk 10 minutes away to get the drinks (the interview was held in a school campus and there were no shops nearby). There was some awkward silence before the male interviewer said I could have his drink, which he then passed to me. Upon realizing what I had just done, I left the drink untouched for the whole interview. The second one happened during the end the interview, when they asked me if I had anything to inquire. One of the questions I asked was: “When did you join the company, and how long have you been here?”. The male interviewer started talking about how he studied for his phD for four years, after which he went to work in the company for over 6 years. Since he looked relatively young, this prompted me to interrupt and ask him how old he was! There was another awkward silence in the room before the interviewer eventually shared his age (34). I totally thought the interview was a goner afterward. As a neurotic perfectionist in the past, I really beat myself up over it. Eventually though, I was shortlisted for the third round, after which I was selected for the coveted internship and subsequently offered a permanent placement in the company. In a twist of fate, the male interviewer was my manager during my internship and he became my mentor afterward.